Simple and moving. Whatever you're expecting, you won't be prepared for this film. 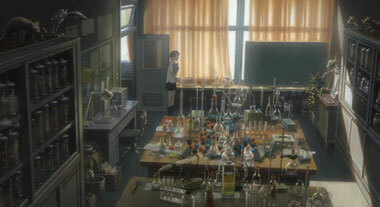 It exceeds every preconceived notion about what makes for a great anime film. 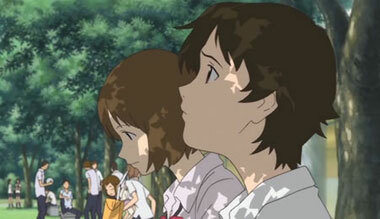 It's very much a cross between a Miyazaki film and a Shinkai film, both of whom are being universally hailed as anime's greatest directors, but it's created by a virtual unknown, Mamoru Hosada. 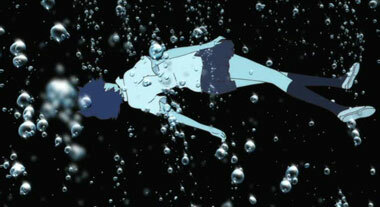 Nevertheless, with a film like this, Hosada is headed for anime greatness. Yes, it's a time travel movie. But, much like The Butterfly Effect, it's using time travel as a plot device to advance a love story and the protagonist's ideals, who learns that the more she tries to keep things the same, unintended consequences of her actions cause changes in her life. 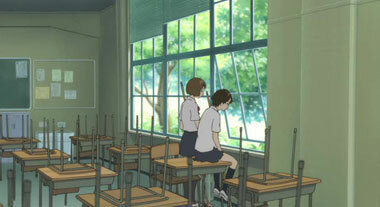 Tokyo teenager Mokoto Konno prefers to play baseball with the boys than gossip with the other girls. 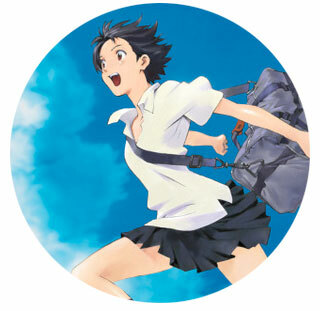 Stuck at a midpoint between child and adult and with graduation approaching, she's not too sure of what she'd like to do with the rest of her life — that is, until a mysterious accident in the science lab gives Mokoto the ability to leap (literally) back in time. 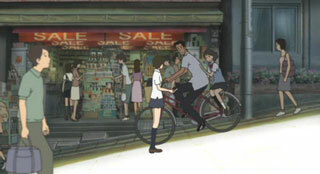 Once she recognizes the life-changing potential of her newfound power, Mokoto's life becomes increasingly chaotic. In a series of breathtaking freeze-frame sequences, she plunges into the past in an attempt to manipulate fate in her favor; yet, it soon becomes painfully clear that she cannot avert the inevitable. 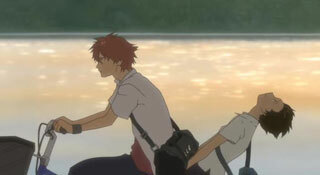 More than just a visually stunning anime adventure, The Girl Who Leapt Through Time is a metaphorical tale of teenage angst: Mokoto's manic time-leaping reflects her deeper fear of growing up —a denial of creeping adulthood, of uncomfortable romantic feelings, uncertainty about her future, and a growing nostalgia for her simple high school life circumscribed by the baseball diamond and her two best friends. 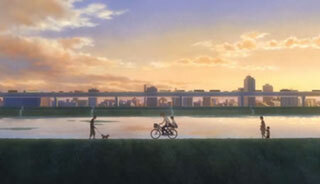 Hosadaís particular talent is to capture the fun and innocence of being a normal kid in everyday Japan and then to set that against an extraordinary adventure, leaving us utterly awe-struck as a standard day suddenly transforms into a magical journey. 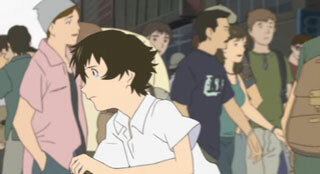 Makoto and her friends arenít anything special, they arenít angsty punks with tragic lives, they are just standard kids living out their ridiculously normal lives. The soul of the story lies in its characters, the way they talk and act around each other; itís their humor and eccentricities that emphasizes their realistic, heart-warming insecurities about loneliness ñ everyone is afraid of being alone. 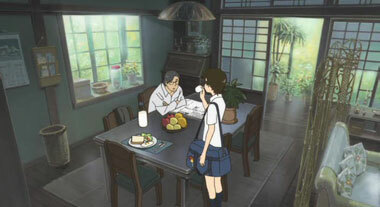 It managed to capture the Japan Academy Prize for Best Animation of 2006, and it did so for good reasons. See it now! Oh, and once again for those of you not listening: WOW. 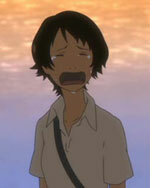 Below: Scenes from The Girl Who Leapt Through Time. 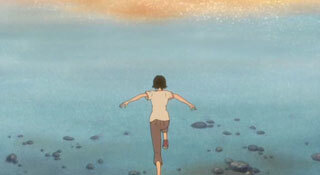 Below: Trailer for the The Girl Who Leapt Through Time.